Redeeming points for travel is easy and painless with the ability to redeem points for any flight, anywhere and anytime with no restrictions. Or points can be used to pay for virtually any purchase right on the mobile app, whether it’s a trip, their monthly streaming subscription, or a new outfit. Supplementary Cards can be added at no additional cost. So, add that special someone to your account and their Card purchases can help you rack up your points even faster. The preferred rate for purchases is 19.99% and funds advances is 22.99%. If you have Missed Payments, the applicable rates for your account will be 23.99% and/or 26.99%. This CAD currency 1 is issued by American Express and runs on the American Express Network. The purchase interest rate for this credit card is: 19.99 percent annually and the transfer balance interest rate is: 3% per year. Also the cash advance rate is: 22.99% per year. 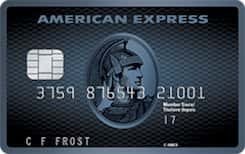 Travel cancelation is Not available for this credit card and also travel accidents are Included.